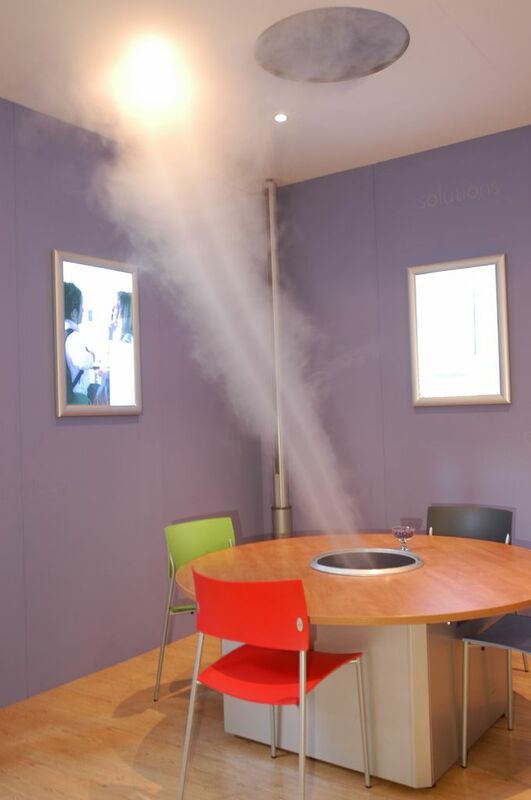 The Tornex Table adopts a revolutionary smoke control system that controls air flow using an artificial tornado. Strategically placed Tornex Air Curtain Poles provide an air current around the table and create an artificial tornado. 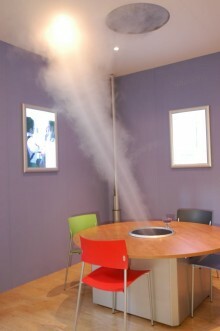 Smoke-filled air is caught by the tornado, absorbed by the inlet at the centre of the table surface, purified by the three stage filtration system, and then exhausted into atmosphere as clean air.